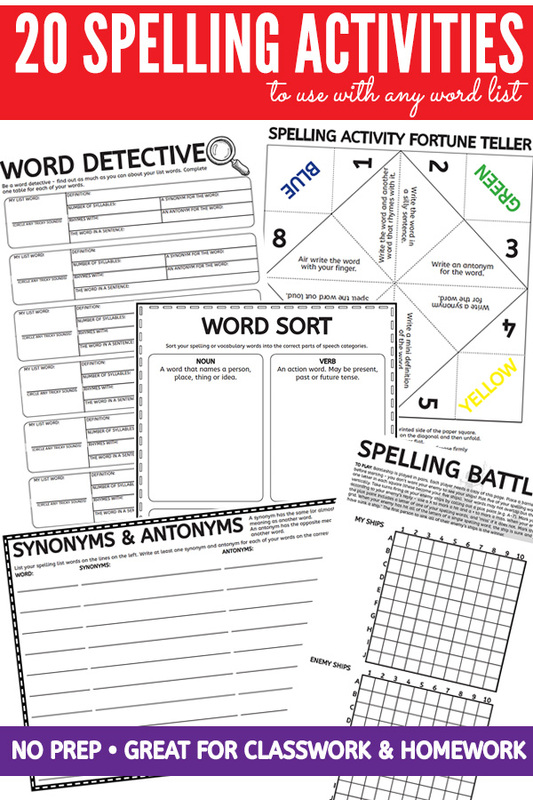 Spelling Activities Worksheet Pack - Use With Any Spelling List. Low Prep. What’s in the spelling activities worksheet pack? 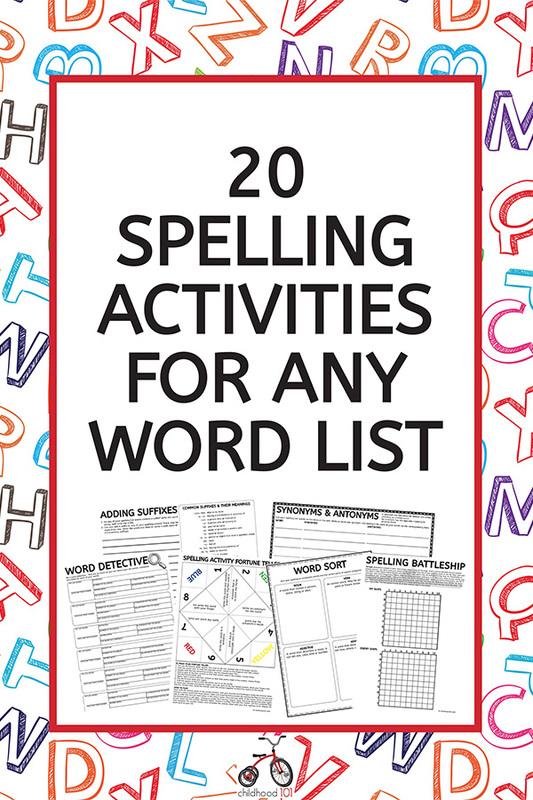 This spelling activities set includes 20 print-and-go student pages that can be used with any spelling list. The activities have been selected to add fun and variety to spelling practice for better student engagement, and to involve students in activities that develop awareness of the phonological, orthographic and morphemic aspects of their spelling list words. Great for those in the middle primary/elementary grades. You can purchase and download this fabulous spelling activities pack now for just $8USD. PLEASE NOTE: This resource is received via a digital download which means there is no waiting, as soon as payment is received you will be emailed a link to the PDF file to download and get started. This download link is active for just 72 hours so please do not delay in downloading your purchase. It is important to download the file when on a laptop or desktop computer and not to a mobile device. All sales of PDF files are final and no refunds will be given.